The Circular Flow of income represents a simple static model of the basic flows of money in an economy. In a closed economy with no government, there are 2 basic agents – households and firms. and then pay INCOME to households. Households then use this income to buy goods EXPENDITURE. 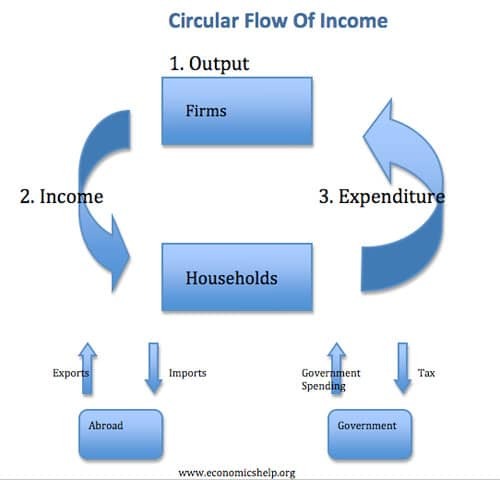 Thus the circular flow of incomes shows 3 different methods of calculating GDP, income, output and expenditure.